Surya TV is starting a new serial from monday 22nd june 2015 at 8.00 P.M. You can watch this serial on every monday to friday at 8.00 p.m. We have recently posted that surya tv back to the second position in barc ratings. Sangamam, Bhagyalakshmi, Ishtam are other serials on Surya TV. 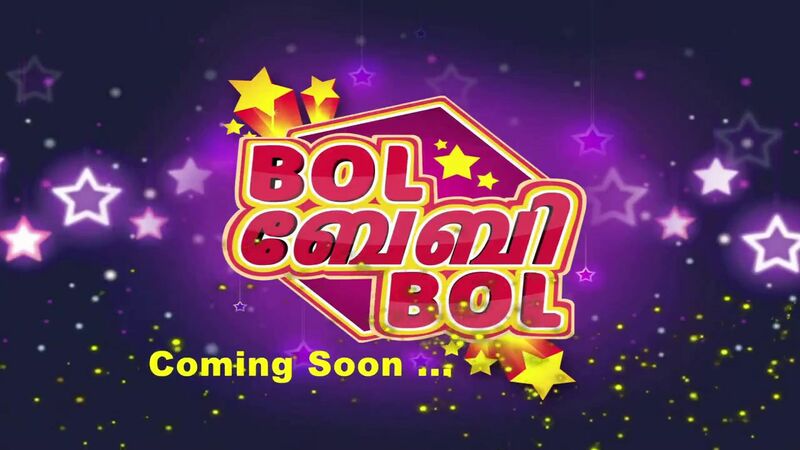 Bol Baby Bol is another reality show coming soon on Surya TV. Its starting 25th June 2015 at 9.00 P.M. You can watch Bol Baby Bol Every Thursday and Friday at 9.00 P.M. Now Surya TV Is Showing Malayalam/Tamil Movies at 9.00 P.M. This helped surya tv to get back in second Position.